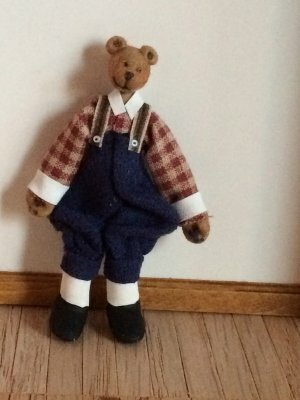 Handsome boy bear doll for your dollhouse. He measures two inches tall. The arms and legs bend so he can sit or have an arm raised. Clothes are not removable. Just so sweet and well made I would be happy to keep this one myself!